McDonald’s isn’t leaving Japan out of the Mario Kart 8 toy fun. 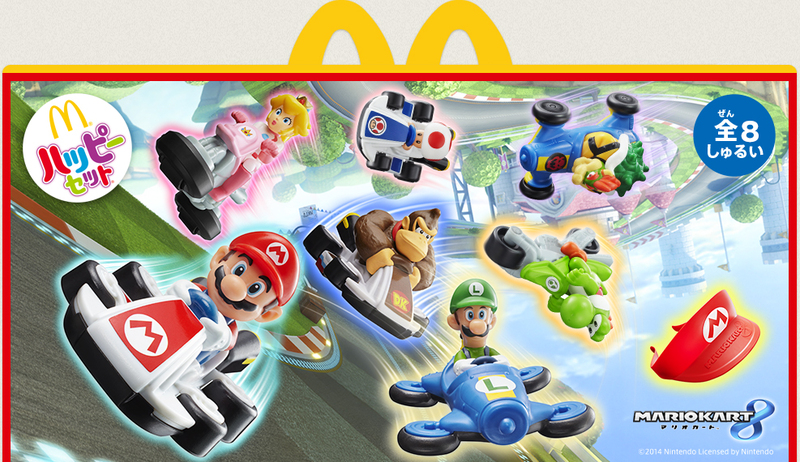 Starting today, those who purchase a Happy Meal can receive a Mario visor or toy for Mario, Luigi, Donkey Kong, Peach, Yoshi, Bowser, and Toad. 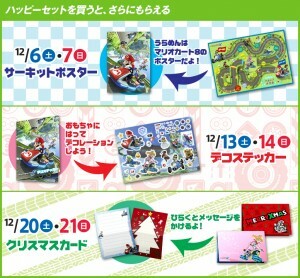 Additional goodies will be given out throughout the month, too. 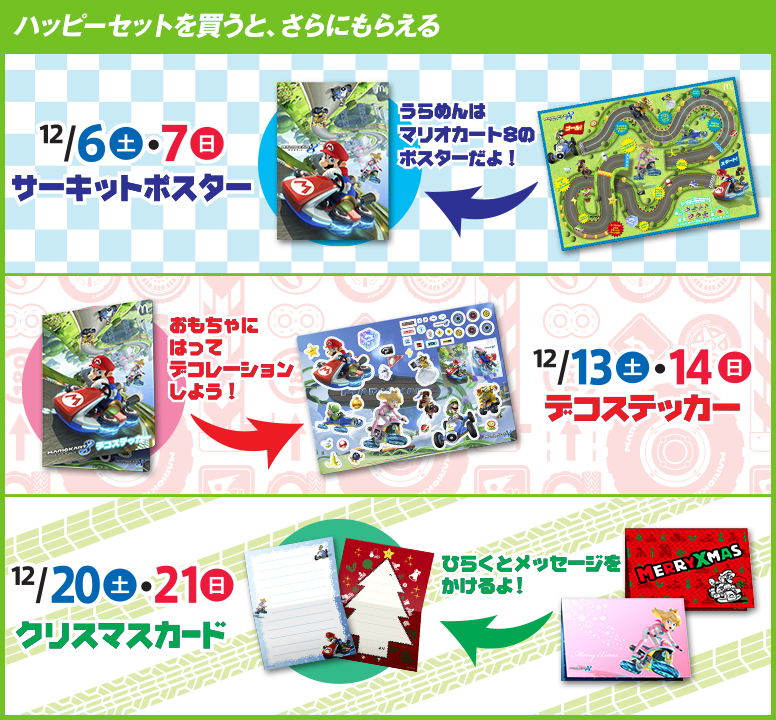 There’s a reversible poster (available on the 6th and 7th), stickers (on the 13th and 14th), and a Christmas card (on the 20th and 21st).